Stop wasting your money on the wrong Slots machine games. Use my simple Slot strategy to win more money and enjoy your games. Let's beat the Slots! Today's online Casinos are built around Slots. Visit any of the best Casino sites on the internet and you will be overwhelmed by the sheer size of their Slots offering. Video Slots and classic Slots are the most popular games in the world of online gambling, but that's only one of the reasons why Casinos want you to play them. Created to entertain the wives of the men who played at the Roulette and Blackjack tables, Slots are today's largest revenue generator for brick-and-mortar and online Casino. Don't take my word for it: this study published by the Nevada Gaming Control Board in February 2016 shows exactly how much profitable Slots are compared to the other games you find on the Casino floor. And I suppose that's also why nearly 60 percent of the Casino floor is usually dedicated to Slots and not to the more 'intellectually stimulating' table games. The reason you didn't hit a big win yet is not that the Slots you play are rigged, it's because it's not easy to win at Slots. The whole concept of Slot machine playing is based on the assumption that you, like most Slot players, will play with the wrong strategy and for the wrong reasons. Every time you do that, you are guaranteed to end a session with less money that you had on your first spin. 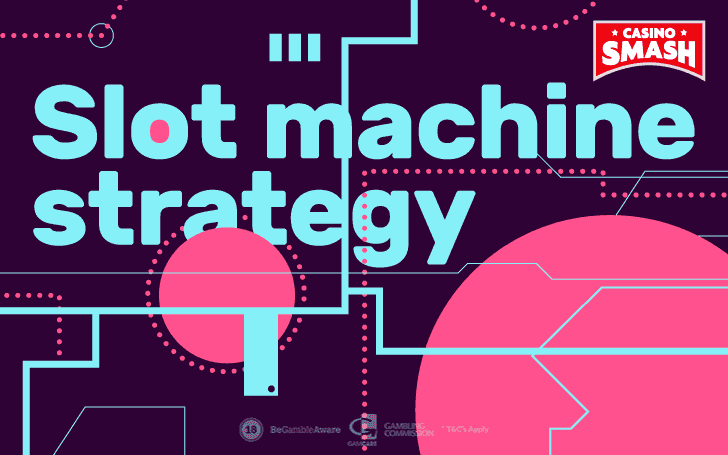 In this guide, you find the only Slot strategy that works. It's something I put together during the 10+ years that I spent in the gambling industry and it's your only way to limit your losses and enjoy your time when you play Slot machine games. Everything here is about online Slots. The games I am going to suggest, the example I am going to use to help you, and the free spins I give you to play are for online use only. Before we jump onhow to win on Slot machine and what strategies help you do that, we need to understand why you want to play Slots. As a player who knows the online gaming world, you know that the list of the Casino games with the best odds does not include Slots. So, ask yourself: "Why do you want to play Slots?" The answer to this question is the key to finding the right Slot strategy for you. If the end justifies the means, you need to know what your goal is to identify what strategy can bring you there. I'll help you find the answer. Gamblers play Slots for two reasons: they either want to be entertained or they want to win large sums of money. Personally, I favour the first approach. Modern video Slots became so advanced and exciting that I find the money I don't win a rightful fee to pay to Casinos and developers for the fun I get. Why is a $50 price tag justifiable for the latest Fifa 2019 video game but isn't for equally amazing Slots like The Goonies Slot and Halloween Jack? But I know this isn't for everyone. Most players look for the big jackpot and play progressive Slots hoping to turn their life around with one spin. While this isn't necessarily impossible, you need to know that the odds are not in your favour and that you are more likely to lose your money than to take down a progressive jackpot. When the financial side of things is not your primary concern, you can use a relaxed approach to Slots strategy that will help you to enjoy all the games you play a lot more. 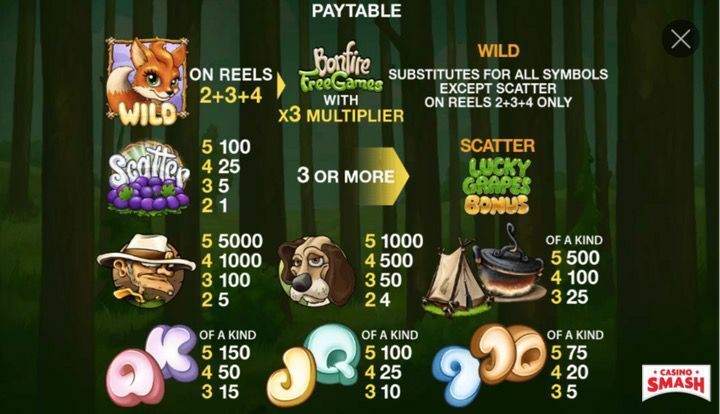 In this case, the correct strategy involves elements like the Slot's limits, the theme, and the bonuses. How Many Spins Can You Afford? Playing Slots for fun is great, as long as you know how to use your money to last long enough to actually enjoy the whole experience. It's crucial you understand how much money you are willing to spend on Slots and how much time you want to spend at the reels. Once you know this, you can plan what games to play and let the 'Spin and Chill' time begin. Let me help you understand this key concept with an example. Imagine you play at a game where the minimum bet is of 0.50 credits. Since you are not going to play for the big prizes you don't need to spend more than this - you just want to play, and 0.50 will give you what you want. On average, a 'slow' online Slot machine player spins the reels 18 times every minute. At a 0.50 a spin, this means you need 9.00 credits to play for just one minute. An hour of play at that game will cost you 540 credits. So, ask yourself: "do you have enough money to play for as much as you want to?" These strategies are both correct - just make sure you factor in the min bet size and the time you want to play before you begin and not when your bankroll is already thinner than a slice of salami. Picking the right Slot can be a burden these days. When sites like VideoSlots.com welcome you with 3,300 different games you have to be a true expert or extremely lucky to find the right games for you. That's where both the Casino and CasinoSmash can help. 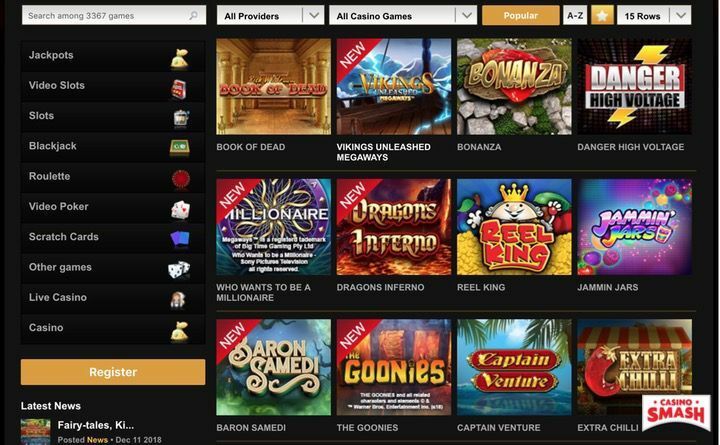 Despite the insane number of Slots they offer, VideoSlots is super easy to navigate and you are always one click away from the hottest games to play. Everything is there. Evergreen classics like Book of Dead stay shoulder-to-shoulder with other spectacular new titles like Baron Samedi, The Goonies, and Vikings Unleashed Megaways. Also, the menu on the top gives you access to 28 curated Slots lists where you can find all the games with Random Wilds, those with Doubled Reels and a lot more. If this isn't enough, use our own manually curated lists! And this is just a teaser! If you want even more lists, browse throughthe archive of our Casino articles for more. The best part of playing Slots for fun? You don't need to care about the wagering requirements of Casino bonuses. You just need as many free spins as possible as the size of a bonus is all that matters. The more free spins (or free money that you can use on Slots) the merrier. An entire section of our site is dedicated to Casino bonuses. Visit it to know what are the best deals available to you right now. Or just take a shortcut and click here. That special page lets you play Slots with 11 wager-free spins, £10, and a 100% match bonus for up to £200 on your first deposit. If this isn't a great Slots bonus, I don't know what is. If you are reading this section of my Slots strategy guide is because you want to win money, and you want to do it now. When luck is on your side, there's nothing more rewarding than Slots. At 18 spins-a-minute you have so many chances to win money quickly that you might make enough to retire rich in less than an hour. Winning at Slots isn't as easy as Casinos want you to think and the fact a machine promises to pay out a seven-figure jackpot doesn't mean it will ever do it to you. However, since you are in it for the real thing, let's see together what are the best strategies to win at Slots and make some serious dough. Did you know that identical Slot machine games can pay differently at different Casinos? While this isn't the right article to go too deep into how Slot machines work, you should know this: every time you play Slots, you play against a micro-computer that decides if, when, and how much the game will pay. This computer is different on every Slot and Casinos can request the games developers to customize it according to their wishes, hence making some games looser than others. That's why the correct Slots strategy begins from the paytables. There you find everything you need to know to play smart. You see the different winning combinations (the least useful part) and which symbols pay off how much for a given number of coins bet. With this info, you can decide how much coins you want to play based on the potential winning you can pocket after a winning spin. When you play online Slots, the 'info' section of each game is also where you find more on exclusive features and bonus rounds. While this can spoil the surprise, it also helps you to understand how much you can expect to win. 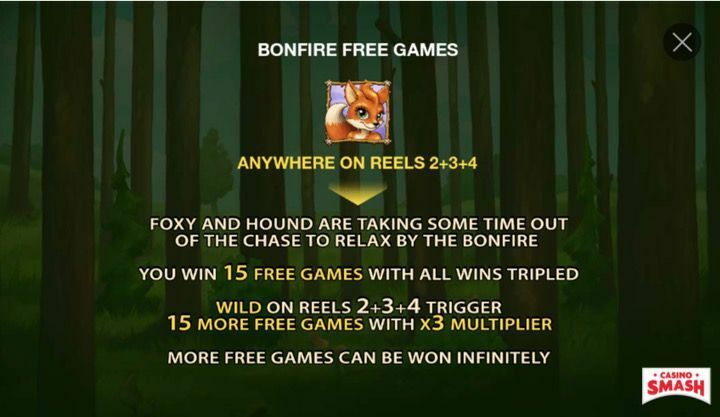 In the Fortune of the Fox example, the last page of the info section tells you that the Bonfire Free Games feature earns you 15 free games with all wins tripled and more. Every winning Slots strategy is based on the assumption that you need to play only the Slots with the highest Return to Player. What is the Return to Player (RTP)? The RTP is the percentage of wagered money a Slot machine game is set to pay back to the players in the long term. This is the most important number you need to know about the Slots you play, as the RTP tells you the house edge, the advantage the Casino has on you as a player. Now that you know this is "the percentage a Slot machine game is set to pay back," it's a no-brainer to add that you want to play games where this percentage is the closest to 100%. That's why you should not play games like the always popular Mega Moolah (RTP: 88.12%), Galacnica (RTP: 92.97%), and Age of the Gods - Fate Sister (RTP: 92.95%) but opt for more favourable Slots. Need any help to find Slots with a higher RTP? Bob: the Epic Viking Quest 98% Play Now! Jack Hammer 2 97.1% Play Now! Fabulanimals HD 98% Play Now! Medusa II HQ 97.07% Play Now! You need to spin the reels with the machine set on the maximum bet. This is the only strategy to win a progressive jackpot on Slots. All progressive Slots share this feature and the only way you can access the larger-than-life prizes they promote is to make every spin as expensive as it can be. Personally, I never advise this strategy as I haven't met many players who can truly afford it. Sure, it should be amazing to take down a seven-figure jackpot on Slots and retire rich but - at what cost? Before you think this looks amazing, let see how much you need to invest to win the progressive jackpot on the Mega Moolah online Slot machine. The max bet on this five-reel and 25-payline Slot machine is of 6.25 credits. At £1 / 1 credit, that makes it £6.25 for each spin. And at a speed of 18 spins per hour, 60 minutes of jackpot-chasing on Mega Moolah will cost you £6,750. Which isn't ideal, especially if you add the game's poor 88.12% RTP. This tells you how much money you need to wager to go on a 60-minute jackpot hunt. Jackpot Slots are fun and the prospect of quick life-changing wins is excellent. Just, this isn't for everyone. Anytime you feel like firing up a jackpot game to aim for the stars, ask yourself: "can I afford it?" This strategy and the calculation in the box above have the answer. Like those who play Slots for fun, you also need to know how to recognize a good bonus to play Slots online. In your case, however, you need to be wary of terms and conditions connected to each offer if you want to be sure you'll get the chance to reap the rewards of your hard works and withdraw your winnings. High or complex wagering requirements can be a nightmare. Imagine how it would feel to win £1,000 on Slots and then discover you need to wager that 60x before you can withdraw the money? That's why you need wager-free bonuses. You can claim 11 wager-free spins to play on Starburst (RTP: 96.1%) on this page. The free spins come with a really good match bonus on your first deposit so make sure you don't miss the opportunity to get all of it. 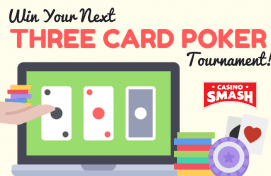 Sign up for a free account if you don't have one yet, and use my Slot strategy tips to win your games!